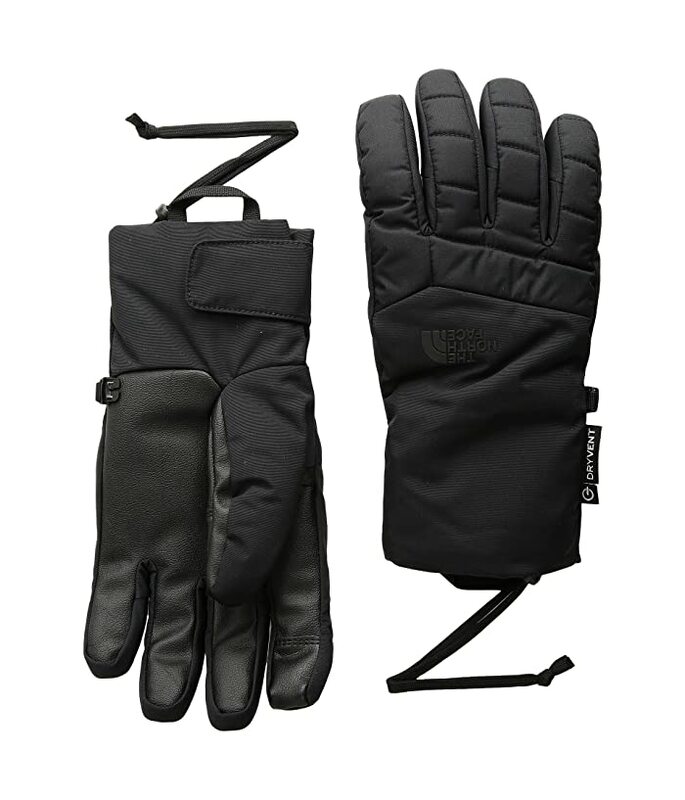 Like any status, no matter where you are, with The North Face® Guardian Etip Gloves. Waterproof protection keeps you dry. Synthetic-suede palm for grip and durability. 100 gram Heatseeker™ insulation at palm keeps hands warm. 150 gram Heatseeker™ insulation at back of hand keeps hands warm. HyVent™ breathable technology coating features a waterproof rating of 25 PSI minimum after 20 launderings. 5 Dimensional Fit™ ensures consistent sizing. Radiametric Articulation™ keeps hands in natural, relaxed position. Knit cuffs for snug fit. 100% nylon; 100% polyester lining.